Shah Jahan AH 1038-1068 (1628-1658) Surat Mint. Dated AH 1038 Year 2 (1628/9). Shah Jahan commissioned the construction of the Taj Mahal in 1632 as a mausoleum to house his wife Mamtaz Hahal. Considered by some be one of the great wonders of the world and perhaps the best example of Mughal architecture. Its sits on an impressive 42 acres and is perhaps the most impressive monument and testament to a mans love for a woman. Ex: Akola hoard. Found in 1974 along the banks of the river Bordi near the city of Akola. 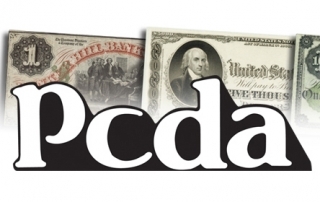 Numismatic Digest Vol. I, part II (December 1977)by M.K. Hussain, p.36-39. 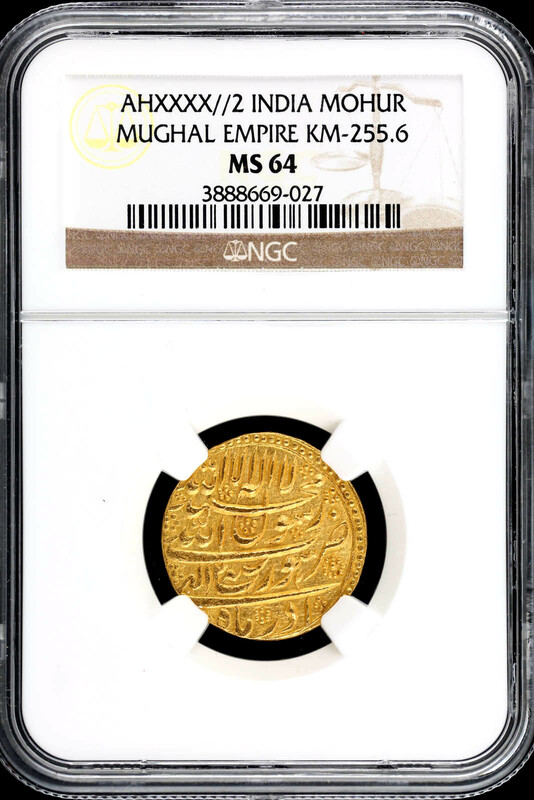 It is believed that this is part of a lost military payment sent by the Surat mint to Mughal troops fighting near Golkonda. According to some accounts, the shipment was lost when the courier was resting in a dry river bed and sudden monsoon rains flooded the river and the shipment was lost. 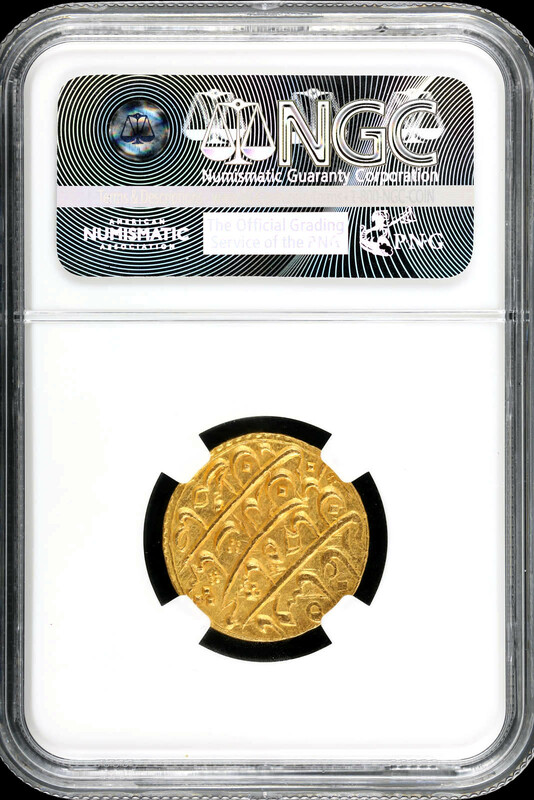 These Surat Mint Mohurs from the Akola hoard mark the peak in style for Mughal calligraphy, that coupled with their exceptional quality make them the perfect type coin.